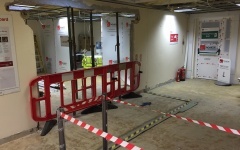 Take a look throughout our project timeline of phase 2 of our client Dyer & Butler! 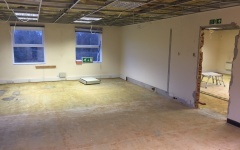 Strip out works have begun! 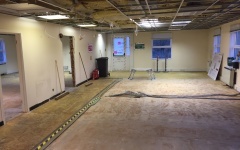 Strip out completed ground & 1st floor. 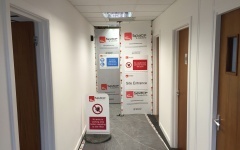 Site has been set up! 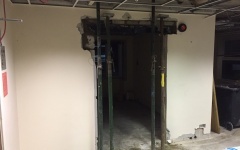 Existing brickwork / blockwork & lintels knocked through to create new opening & doorway. 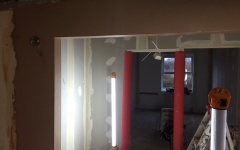 New lintel installed to ground floor doorway. 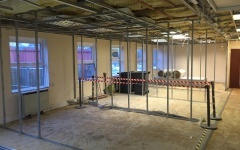 Ground floor partitions being installed. 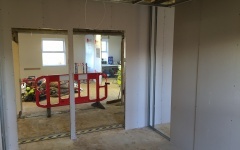 Stud work erected on 1st floor. 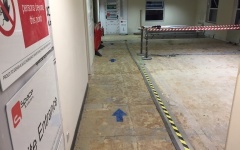 Floor box chase cut out & 1st floor fix electrical to 10P meeting room. 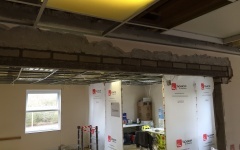 1st floor lintel installed to new opening. 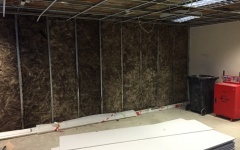 Partitions insulation being installed on 1st floor. 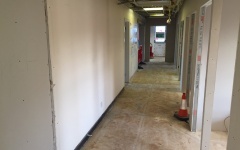 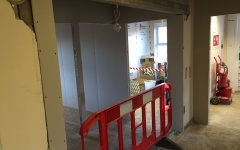 Existing double doors removed in 1st floor corridor, new temporary separation installed. 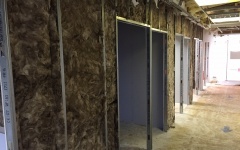 Boarding to 1st floor partitions. 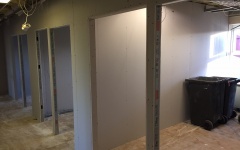 Partitions boards installed ready for decorating. 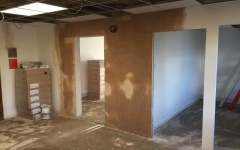 New openings ready for plastering. 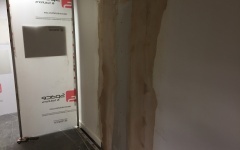 Taping & Jointing works have begun. 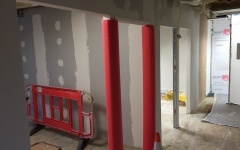 Existing openings now closed up. 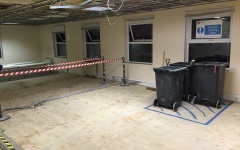 Plastering is complete on 1st floor & ground floor. 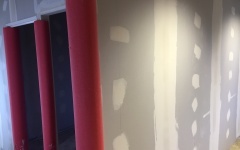 Decorations to new partitions have begun! 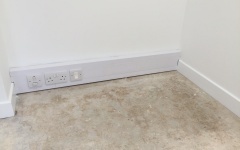 New skirting trunking for power and data being installed. 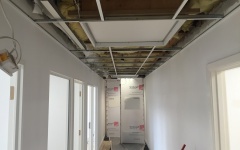 New ceiling grid being installed. 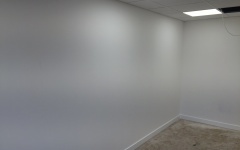 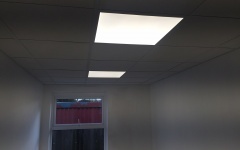 New lighting panels installed to new offices. 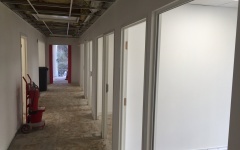 Glazing track has be installed. 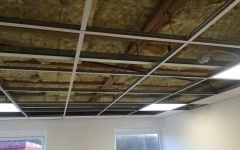 Ceiling grid installed and completed. 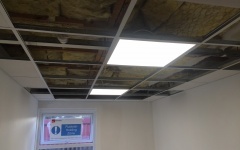 Ceiling tiles and lights installed in 1st floor corridor. 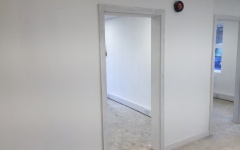 Timber door frames installed on ground floor. 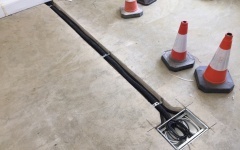 power and data installed to suit new layout. 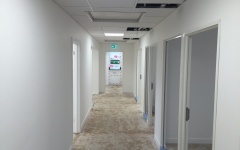 Decorations completed on 1st floor.